WheelTurnerHawaii.com: The Kula Klash Results. The boys over on Maui decided to throw one last race on the heavenly gem before it reopens to public. They spent the day racing head to head down one of the best roads this world has to offer and they killed it! Each round took place on a different section of the long hill, this way it kept it interesting every round. 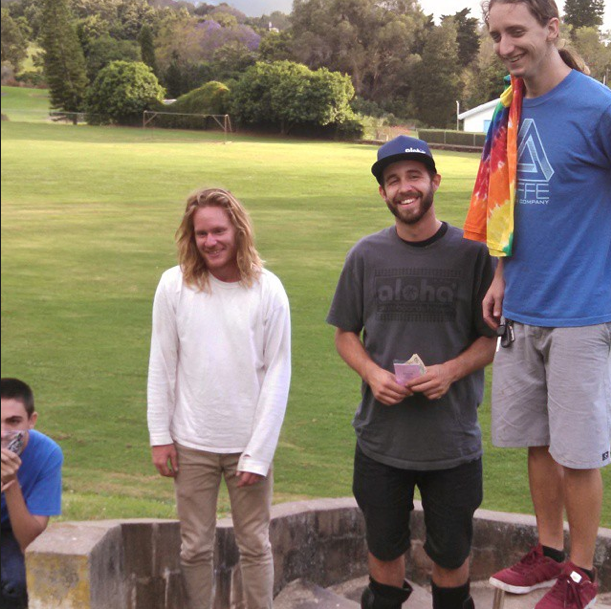 At the end of the day taking home first was Maui's Dakota Camp followed by fellow Aloha Skateboards rider Zach Newman. In 3rd was shredder Michael Morris followed by Matt Corder... ALL MAUI BOYS. Good job to all of the racers and stay tuned for more event coverage!